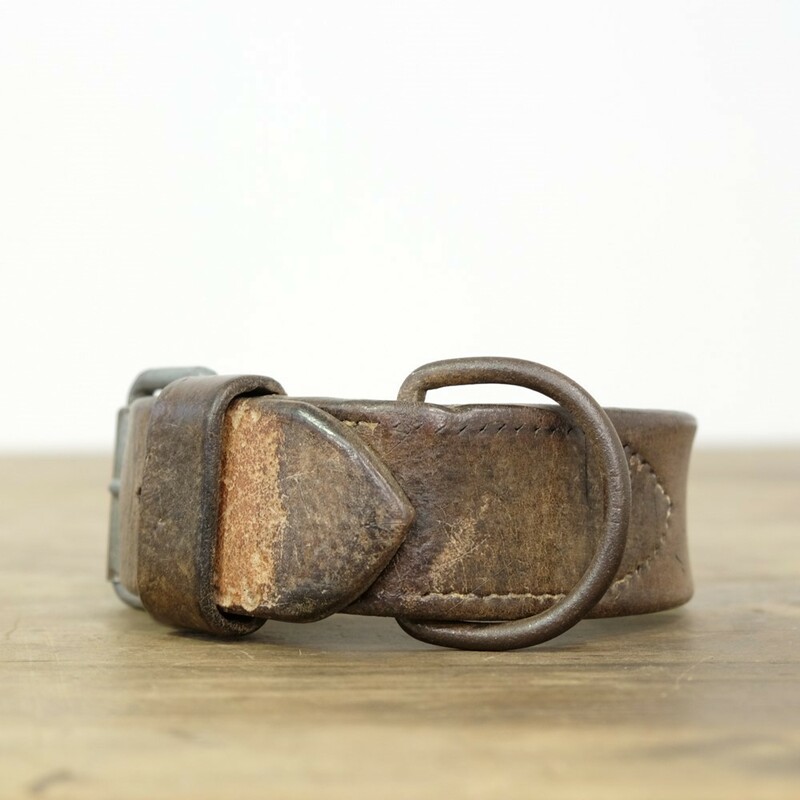 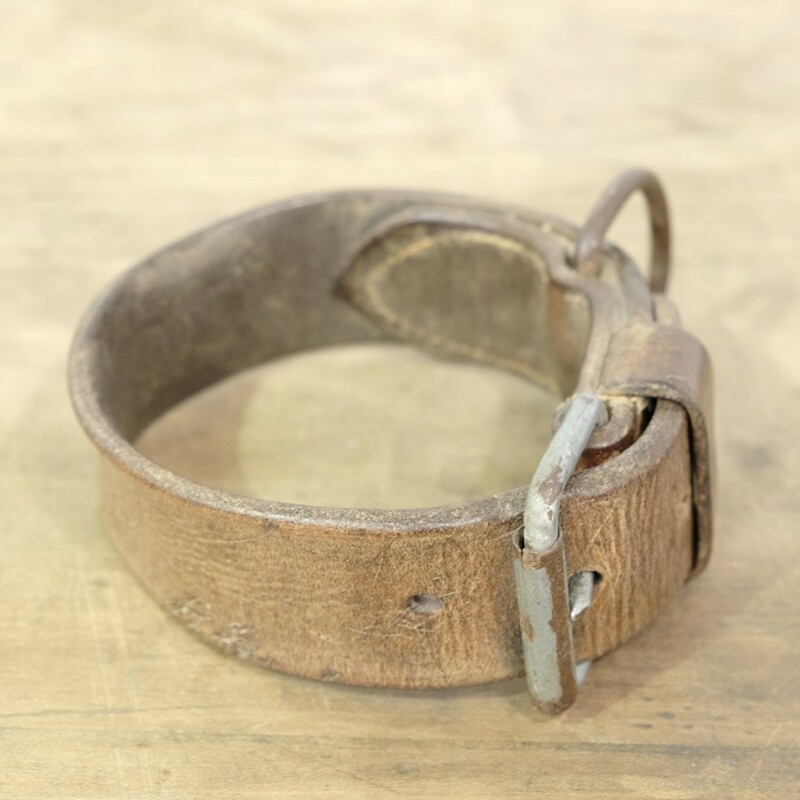 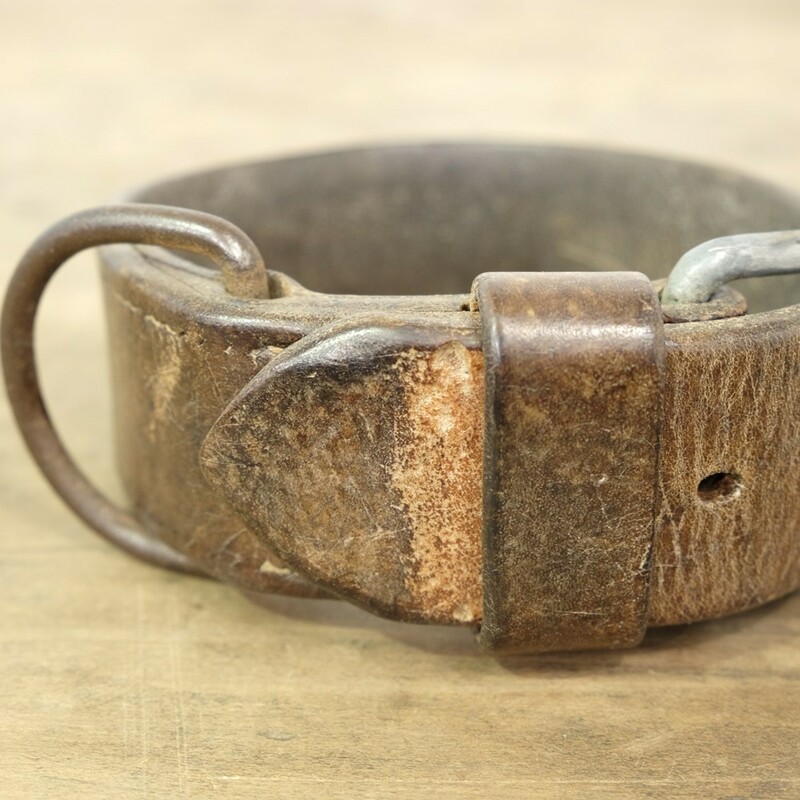 Large early 20th century stitched leather dog collar. 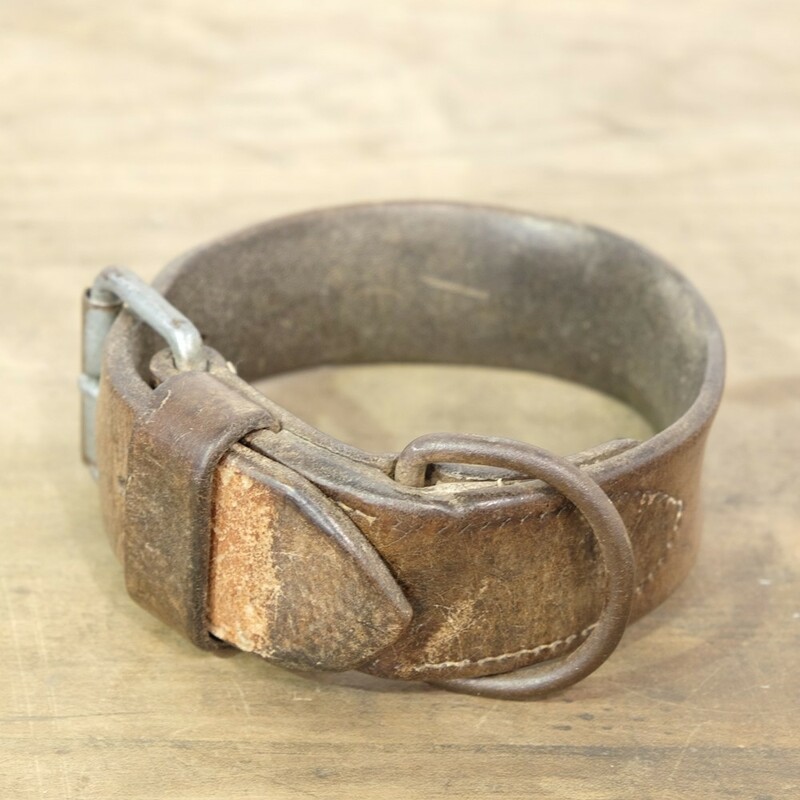 Meaty steel buckle and chainring. Wonderful colour and patina to the leather. 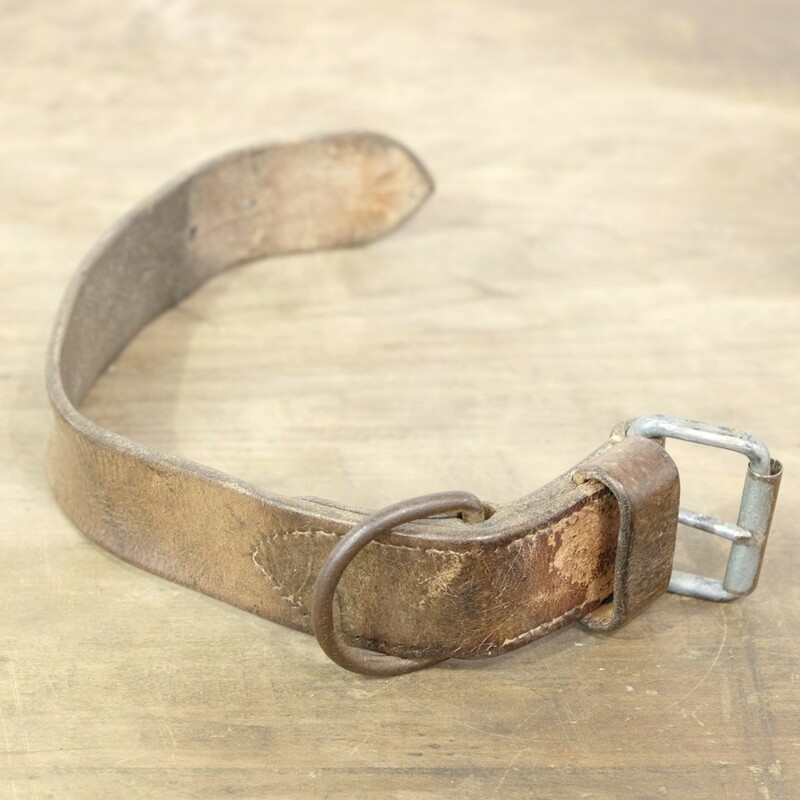 53cm in length when open.